Today, hundreds or thousands of people will visit your website. They come from PR, SEO, partnerships, events, ads, word of mouth and more. 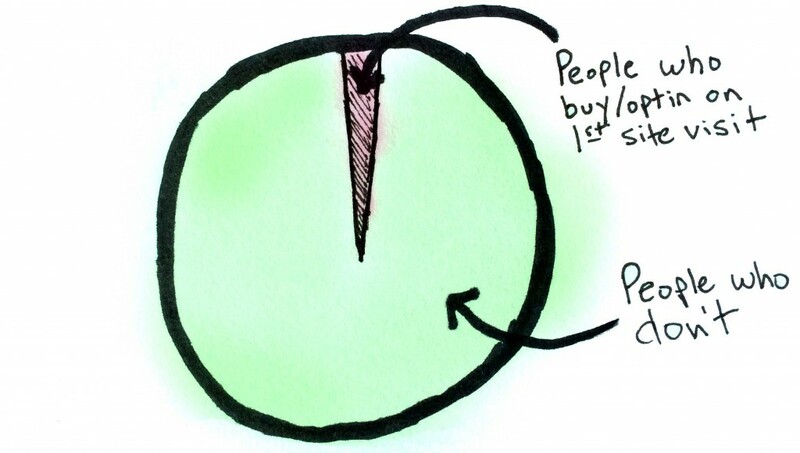 And 98% of them won’t join your newsletter, buy your product, request more information or follow you on Twitter. That leaves hundreds of potentially wasted visits since there can be no strategic follow up and you are left to hope that they remember your business and come back to the site later. Most purchases require prospects to think about it over a series of hours, days or weeks (depending on how big the purchase is). This isn’t an impulse buy. We aren’t selling candy in the grocery store checkout line. 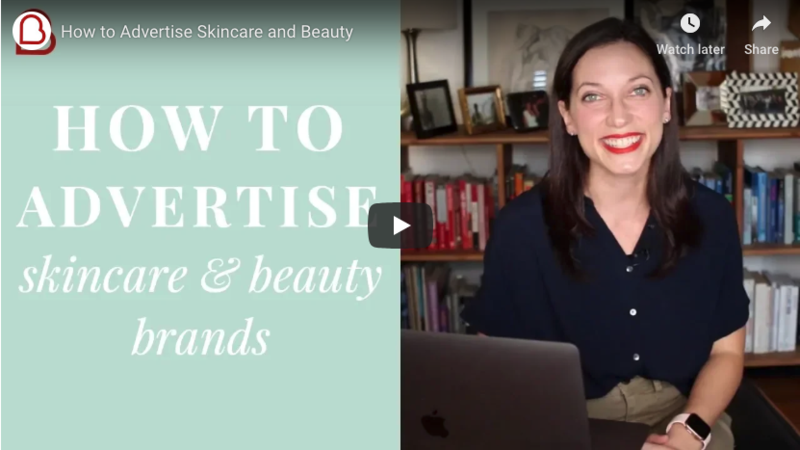 So it is important to continue to serve ads to people who have recently visited your site to stay on their radar as they contemplate their decision. You see, the majority won’t just come back on their own. That’s why you must have some way to further communicate with them and encourage them to come back to your site and see what you have to offer. 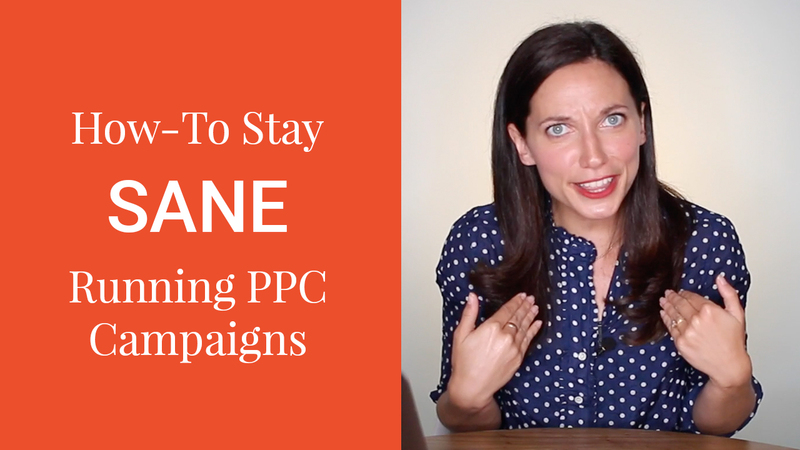 The hard truth is, if you aren’t retargeting, you’re losing money every single day. Is Losing 95% of Your Traffic Acceptable to You? Let’s say the main goal of your website is to get people to enter their email to get a free offer or to join your email list. If your site has a great design and a good offer, you’re doing amazing if 5-10% of the people who come to your site actually enter their email. That means 90-95% of visitors are lost, in the best case. With retargeting however, you can serve these 90-95% of your site visitors relevant ads that direct them back to join the email list, claim the free offer, sign up or buy. Say your business is an adventure travel company. On your website you have separate pages for different trips like an Antarctic cruise, a tour of Costa Rica and a Grand Canyon rafting excursion. 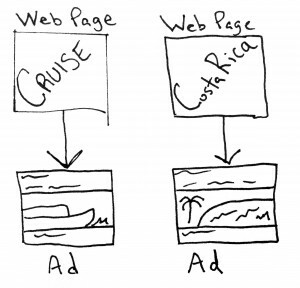 With retargeting, we can create specific segments for each of these pages so that we can serve hyper specific ads to the viewers of each of those pages. So to everyone who viewed the Grand Canyon page, we could have an ad with copy about that specific tour and images of the canyon or rafting. This results in much better performing ads typically. Now here’s where it gets even better. Compared to standard PPC ads, retargeting is cheap. Since these visitors are already familiar with your business (they’ve already been to your website) they’re much more likely to click on your ads then cold traffic. This means your ads will get a higher click through rate. 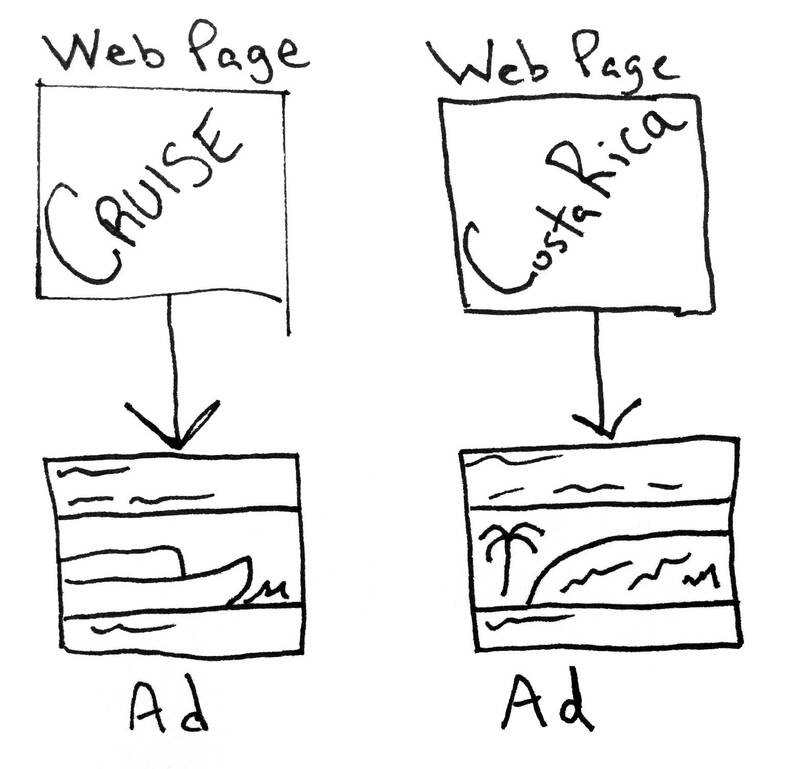 Google and Facebook loooove it when your ads get a high click through rate. It means that users are engaging with your ad and means that they make more money. So they reward you by lowering your cost per click. It’s obviously much better to get a $.5 CPC then $1 CPC because at $.5 I can get 100 clicks for $50. But if my CPC is $1 I have to spend $100 (double) to get the same 100 clicks. Will retargeting work for my business? Retargeting works for everything from online clothing companies selling $20 t-shirts to universities at $20,000/year tuition. It’s effective for B2C as well as B2B. The only reason I can see retargeting not being a good fit for you is if you get very little traffic to your current website (less than 30 visitors a day). 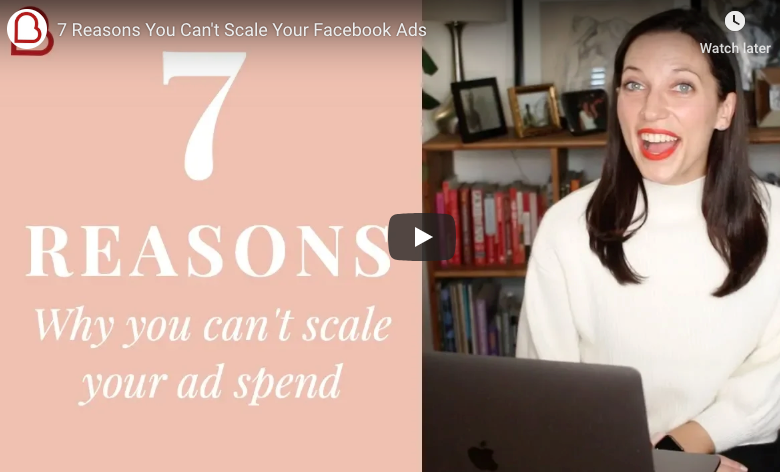 If you aren’t getting much traffic to your site, there aren’t going to be many people available for your retargeting campaigns. You’re better off focusing on getting more traffic to your site. Yes. I work with a software company that serves photographers. From a $200 ad spend on retargeting I was able to directly generate $2,000 in revenue for them. Now, that’s not to say that those results are typical or guaranteed – but a positive ROI is definitely typical. Noah Kagan of AppSumo.com says that they always aim for (and regularly achieve) a 200% return when they do retargeting for their product. If someone left my site, that means they aren’t interested right? The problem I have with it is if someone used your website and bounced without converting, why would they want to go back? Why would I want them to come back? Just because somebody came to your website and did not immediately buy or sign up does not mean that they hate your product and never want to hear your company’s name spoken ever again. Most people just need a little reminding and convincing. Maybe they bookmarked your site, or wrote down a reminder sticky note, or just made a mental note to go back and research things more. But people are BUSY. So the majority who intended to return, don’t. TV commercials are run over and over because they know it takes multiple touch points to get the message to sink in and to get you to take action. There is one specific form of retargeting that I’m seeing perform best for my clients. Check out this post to learn more: The One Retargeting Ad You Have to be Running. We offer a retargeting setup package as well as monthly optimization and maintenance to keep your campaigns converting. We manage the entire process for you so that you don’t have to add another project to your to-do list. Email ben@biddyco.com with the subject line “retargeting” to request details.